Bridget Lambert (21) pleaded guilty on Thursday, September 27, 2018 in the Eastern District of Louisiana to one count of a forced labor conspiracy for conspiring with members of her family to obtain forced labor from a woman with cognitive disabilities. Lambert admitted that, in Amite and between August 13, 2015, and June 30, 2016, she and other members of her family forced the victim to live in a locked shed in the backyard and to perform housework and yard work in exchange for food and water. Lambert further admitted the victim was subjected to routine physical abuse, threats, and verbal and psychological abuse designed to ensure her continued compliance with the family’s orders. 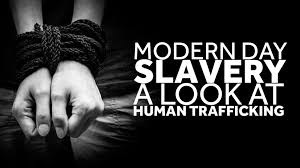 “Human trafficking is modern day slavery and the U.S. Attorney’s Office is committed to seeking justice on behalf of all victims including vulnerable individuals such as D.P.,” said U.S. Attorney Peter G. Strasser of the Eastern District of Louisiana.